Alice Pose, originally uploaded by Scott Thomas Photography. 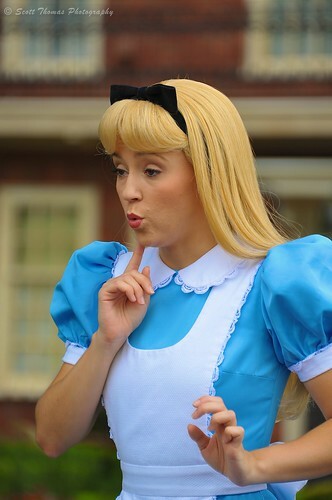 Alice striking a classic pose when meeting young guests in Epcot’s United Kingdom pavilion in Walt Disney World, Orlando, Florida. This entry was posted in Travel and tagged 28-300mm, alice in wonderland, character, epcot, face, florida, nikon D700, orlando, united kingdom, vr, walt disney world. Bookmark the permalink.